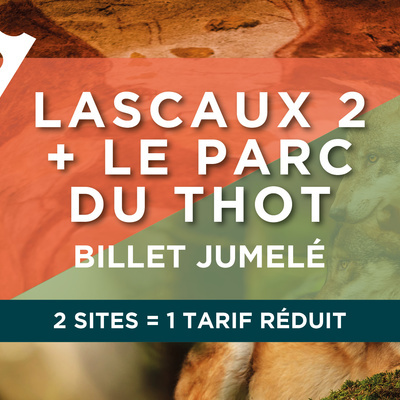 Thot Park is a great place to learn about the relationship between man and animal since the beginning of time. The visit is fun, educational and recreational and takes place in the heart of a natural environment… it is the perfect site for a family day out. I particularly love the treetop walkway from which you get a panoramic view of the wolves. Thot Park? For me, it represents the ideal way of becoming conscious of our origins. The proximity with these animals, which form part of our past yet are still our present is very moving. Above all, it is the workshops that I love. By touching the rock walls, we learn to understand the gestures of our ancestors. In digging the earth, we get a glimpse of the fascinating work of an archaeologist. And what a joy to participate in the fire workshop! My favourite time for visiting Thot Park is the spring: if you are lucky you might witness the birth of a baby aurochs or fawn. Take the time to watch carefully, quietly, and you may see the young animal take its first steps…a magic and unforgettable moment for everybody!